No, we are not discussing that office worker that tends to yack your ear off like Kelly Kapoor on The Office. That would be Incessant Chat. We are talking about Persistent Chat! This post is a very brief one. 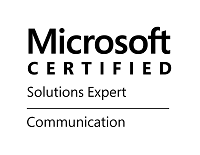 We are simply going over some pros and cons, or rather challenges and benefits, to implementing Persistent Chat in your Lync Server 2013 or Skype for Business Server 2015 environment. For those of that need a brief jogging of the memory, Persistent Chat is what was previously known as Group Chat in Lync 2010. It enables chat "rooms" where the conversation persists independent of the participants. For instance, User A can come and go from the chat room, but the conversation will go on without that user, and the previous conversation involving User A will remain in the room regardless of their involvement. Yes, it is very cool indeed. 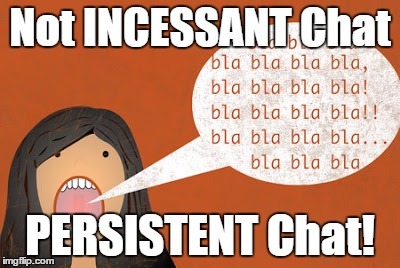 So, what are the challenges associated with implementing Persistent Chat? Well, there are some things that are simply good things to keep in mind, and others that are indeed challenges. For this sake of this list, though, I am going to list them all together into one bullet-ed list. In an Enterprise environment, Persistent Chat cannot be collocated on the Front End Server. This means that if you are planning for Persistent Chat, you will need to plan in additional servers. Persistent Chat (PC) also requires a backend database. This database can live on the same SQL instance as your other roles, so you don't necessarily need another server for this role, but you should make sure your SQL server has enough computing power. The only case where you can collocate the PC role with the Front End is in a single-server Standard Edition build, in which case the PC SQL backend is simply another database in the existing SQL Express instance on the Standard Edition server. Of course Microsoft recommends that such an environment only be used for Demo and POC purposes, but anyone in the industry is well aware that these environments are used in production for MANY smaller businesses. If you are one of those smaller businesses, make sure you have enough RAM and CPU power on that server! The ability to partake in PC as an end user depends upon group and room membership. This membership is managed on the Room level by the Managers of the room. In order to create a room, as user has to be added to the Creators group for a "Category", which is setup in the Skype for Business Control Panel. To manage these Control Panel settings, and to create Categories and assign Creators, a user needs to be a member of the RBAC role Persistent Chat Administrator. Once a room is created, managers must be assigned per room, and those managers can then add Members. As you can see, there is quite a hierarchy that must be accounted for when deciding how use of Persistent Chat will be managed and administered within your organization.Will your chat rooms just be "open"? Will users need to submit tickets to a central Help Desk team to gain access to any rooms? Will more granular controls be required? A separate web interface is required to manage individual rooms, Managers, and Members. While this interface is fairly simple and straightforward web portal that is managed through the Skype for Business client, it is yet another interface to be aware of, and to learn. This is not overly burdensome, but may require a bit of end-user training for those who will be "Managers". Alright, so, the challenges weren't too bad, were they? Nah. Now for the benefits. I am sure many of you have already started compiling into your own mental list. Many teams may have slightly different use cases for PC, but despite these differences, most of these teams share the commonality that having a central chat room for their team to work out of in real-time is a key component to enhancing internal communication and increasing efficiency. 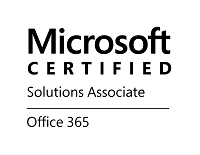 Having the leadership of a time buy into the added benefit of this tool will not just deliver this enhanced productivity - it will also increase end-user adoption of the Skype for Business product as a whole. Many teams run a 24-7 shop, meaning they have at least 3 shifts working around the clock, and such a structure usually include some sort of shift hand-off. Imagine how seamless and more complete this hand-off would be if all teammates were using a Persistent Chat room throughout their shift, recording all the happenings (good and bad) of that particular shift. Suddenly, Johnny ThirdShift won't be caught off-gaurd when an unhappy customer calls in to get the status of a down server when Suzy SecondShift forgot to mention that at turnover time. Enhanced productivity means less time spent trying to track down various bits of communication. If less time is spent tracking things down, or looking for an available tech to escalate to ("Hey, anybody in this room that can help me out"), workers can be more productive. This eventually translates to cost savings, which in turn means greater revenue. There are also "Auditorium" rooms. These rooms have a Presenter, who can essentially broadcast messages to a room with many members. While the members are not able to participate in conversation, they can closely follow the messages broadcast by the Presenter. This is especially useful in situations where there is a major outage, and several teams are trying to coordinate and work together to track the status and keep up with the latest developments of the issue. As you can see, Persistent Chat is not just as simple as flipping a switch on in your Control Panel, but depending on your company's needs, it may be well worth it to invest the extra planning into making Persistent Chat a part of your company's collaboration strategy. I hope this proved helpful for those of you currently weighing this decision. For others that have implemented it, and found additional Challenges or Benefits than what I have listed above, we would love to hear about your experiences! Drop a comment below!